Learn how to bridge cultures through translation. The Master of Translation is a program offered for bilinguals in either Mandarin Chinese - English or Spanish - English. It prepares you a professional translator career. Graduates work in fields such as government, commerce, law, or international relations, where they mediate Australia's international relations. To enrich your studies in translation, you may undertake elective subjects in the broad fields of culture and communication, and languages and linguistics. You can develop your professional skills translating specialised topics, managing terminology, using translation technologies and negotiating the cultural and intellectual boundaries of Chinese and Spanish speaking worlds. An internship is a core component of the program, giving you a real-world industry experience. Or, if you're interested in research or further study, there's a Master of Translation (Enhanced) option, with a minor thesis component, available. 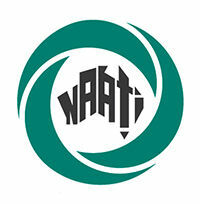 The Master of Translation and Master of Translation (Enhanced) at The University of Melbourne are endorsed by the National Authority for Accreditation for Translators and Interpreters (NAATI) at a professional level. The Master of Translation helps you effectively and efficiently translate a range of genres. Develop your understanding of English and Chinese or English and Spanish cultural and intellectual foundations, and familiarise yourself with translation technologies. If you want to study and work in team-based and project-based work environments, you'll learn how to adapt to new professional contexts and hone your judgement and decision-making skills. You can complete an internship to put your translation skills to practice within a professional environment, or undertake a minor thesis to demonstrate your ability to solve authentic translation problems.